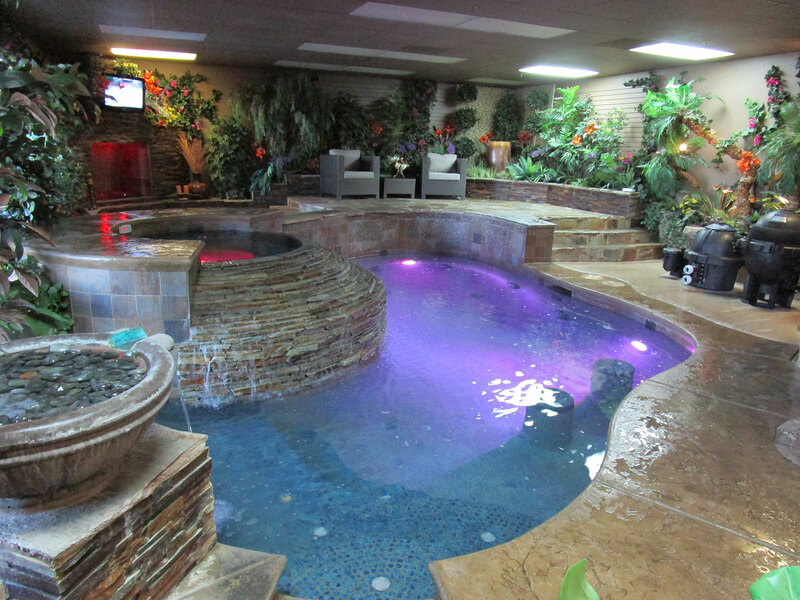 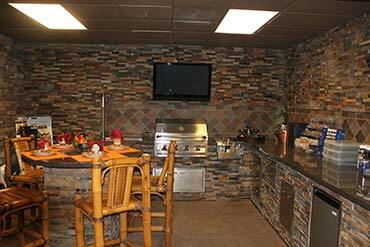 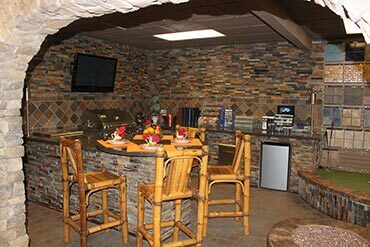 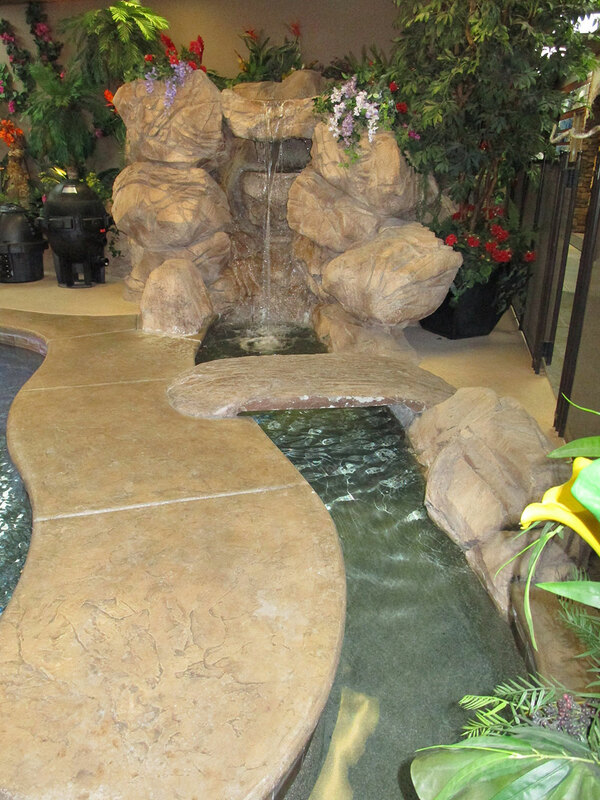 We invite you to come visit our showroom to view a fully operational pool and spa. 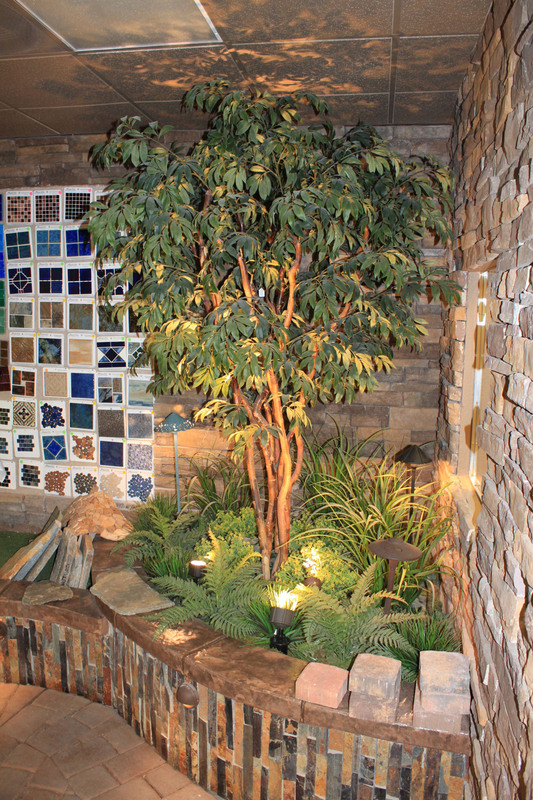 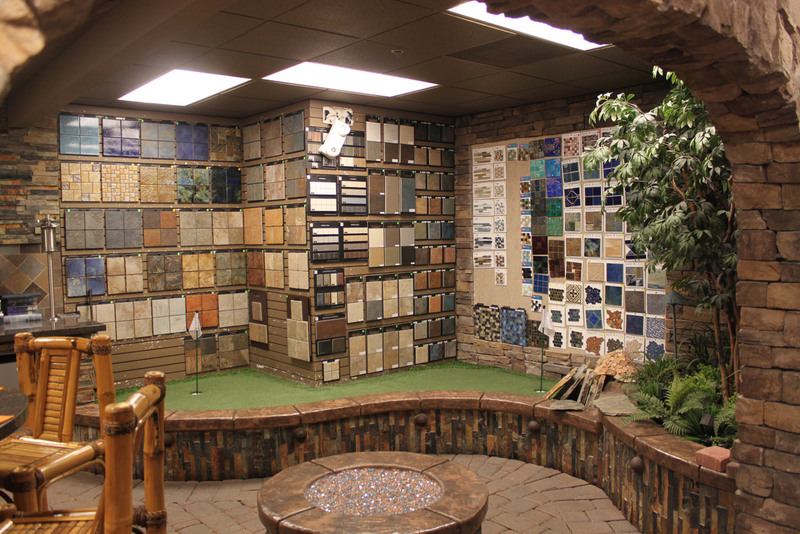 This gives the homeowner a chance to see and experience features that are available to enhance your outdoor living area. 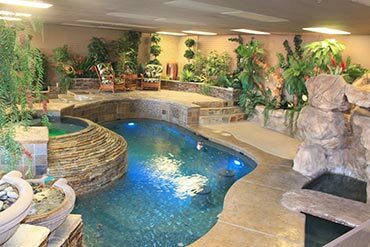 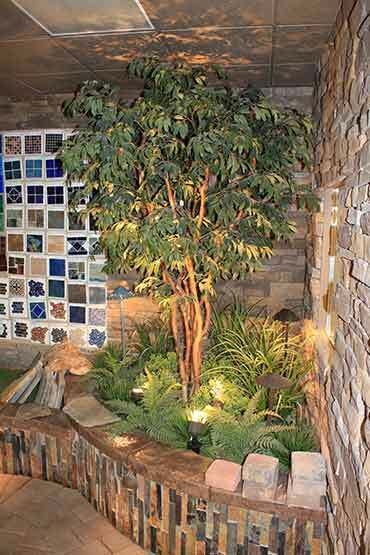 Low voltage landscape lighting surrounds our pool and will give you the opportunity to see the actual fixtures and the different options available, the various finish materials and colors and the light patterns they produce. 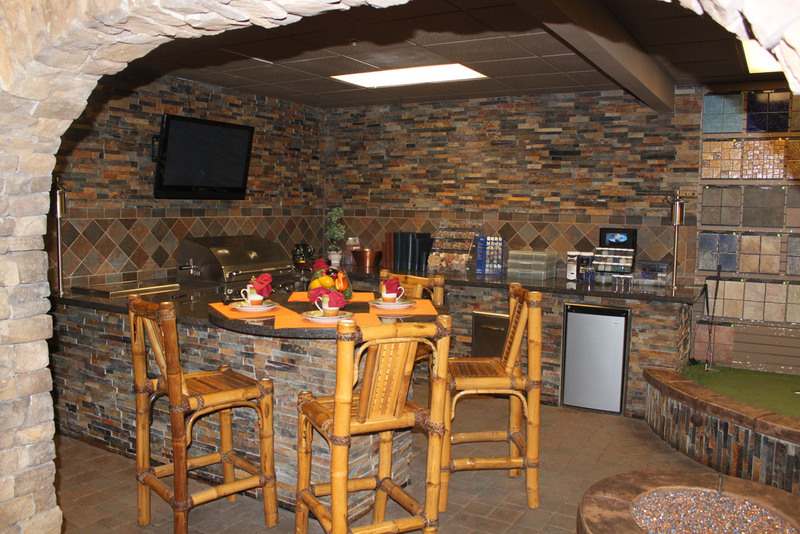 A short distance away from the pool, a versatile outdoor kitchen makes a comfortable setting to view the vast selection of waterline and accent tiles on display. 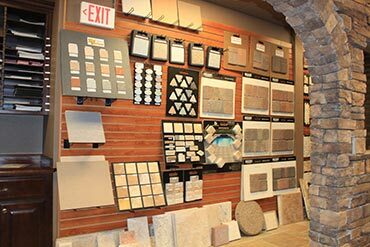 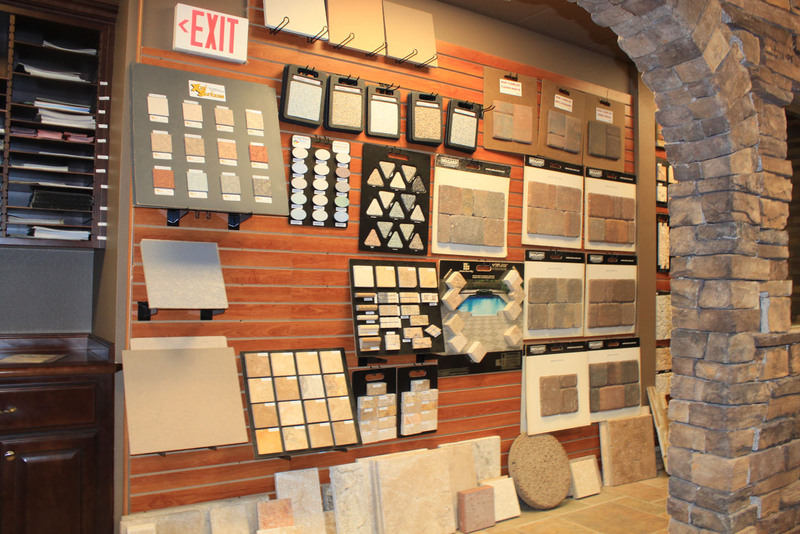 We also have a variety of stone, paver, concrete, quartz, and other materials used to complete your project making the selection process convenient and less time consuming.